On Episode 23, we were joined by author Nancy Northcott, a new friend the giddygeeker made while moderating the Agents of S.H.I.E.L.D. panel at ConCarolinas 2015. Nancy Northcott’s childhood ambition was to grow up and become Wonder Woman. Around fourth grade, she realized it was too late to acquire Amazon genes, but she still loved comic books, science fiction, fantasy and YA romance. A sucker for fast action and wrenching emotion, Nancy combines the romance and high stakes she loves in the the books she writes. 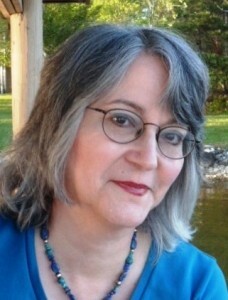 For more information on Nancy and her mages, visit her website, www.nancynorthcott.com.